As florists, we work closely with families making funeral plans, friends and associates sending sympathy expressions, and funeral homes holding services. Flowers are an integral part of the funeral process. 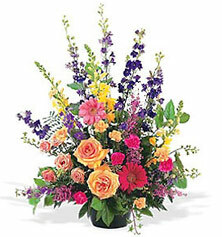 In fact, sympathy flowers have been part of funeral and memorial traditions in nearly every culture throughout history. For those less familiar with funeral flowers and sympathy etiquette, questions often arise. Here are some of the most common, along with sound advice from the Society of American Florists and our own expert designers. Is there a 'right' or 'wrong' type of arrangement to send as a sympathy gift? There are a variety of appropriate options in sympathy flowers. Traditional sympathy arrangements, including triangular or fan-shaped designs, easel sprays, and baskets, are still among the most popular in many areas. These often include carnations, chrysanthemums, glads, and lilies or roses, but may also include any other favorite flowers. Most florists are also happy to create floral tributes with more stylish designs and themes. Mixed flower arrangements which look "just-picked-from-the-garden," elegant vased bouquets of European flowers, and dramatic groupings of a single flower type are just some of the more contemporary choices. Baskets of green and flowering plants are also popular as a gift that's convenient for the family to take home or give to a local hospital or charity. There is no right or wrong approach. The choice is up to you. The best advice is to select something you think the family will appreciate. Do some flower arrangements look too 'cheery' for a funeral? Absolutely not. A funeral service is a way to honor someone's life, and bright, colorful flowers are a meaningful part of that tribute. In addition to adding beauty to an otherwise somber occasion, flowers provide a comforting diversion -- something to talk about or look at -- during the visitation. Of course, other color schemes are popular, too. Soft pinks, purples, and other pastels are appropriate for a feminine touch, while autumn tones have a more masculine theme. White, for peace, and red, for undying love, are also very popular at funerals and contrast well when combined. Sometimes I see a charity mentioned 'in lieu of flowers' in the death notice. Is it still appropriate to send flowers? Because flowers help you say what is often difficult to express, they are always appropriate and in good taste. Many people want to express sympathy and show respect for the deceased in a variety of ways, including charitable contributions, food donations, a helping hand, or cards and flowers. Flowers also play a functional role, adding warmth to the service and providing the visible, emotional support that the bereaved need during a difficult time. Funeral directors agree that most people do not want a service completely devoid of flowers. What can I do to make my arrangement special from the rest? To make your floral tribute particularly special, ask your florist to create an arrangement that fits the deceased's personality, for example, a rustic basket of wildflowers to honor someone who loved the outdoors. You could also include his or her favorite flowers or colors, or a flower that had special significance in your relationship with that person. Whatever you do, the family is sure to notice and appreciate it. I am part of a group. What are some suggestions? When groups, including grandchildren, nieces and nephews, friends, neighbors, business associates, and clubs go in together on flowers, the arrangements can be very special and make a larger showing. Such pieces can include standing sprays and wreaths. When sending flowers as a group, include a contact name and address on the card so the family knows whom to thank. What is appropriate to send for a cremation? A tastefully done floral tribute adds beauty to any type of service, whether it's a traditional burial or a cremation. Because cremation is increasingly common in some areas, many florists will have specific suggestions. Families may choose a piece designed for display with the urn, or an arrangement that can be enjoyed in the home after the service. I found out about the death after the funeral was over. What can I do? A floral arrangement received at the home after the activity surrounding the funeral can be a comforting, welcome reminder that friends haven't forgotten. In fact, research shows that bereaved family and friends appreciate being thought of in the weeks or months after the funeral. A personal note or 'we are thinking of you' message with the flowers would be especially nice. Any support you can offer will let the family know you care. How do I know what to ask for with my florist? Your florist is the expert, so you don't have to be. He or she will be happy to guide you. Still, here are some of the terms commonly used by florists, which may be helpful in your discussion. Inside Piece - A general term to describe small floral designs placed inside the casket such as satin hearts, nosegays or small sprays. Funeral traditions vary for each culture and faith. Here are some general guidelines to help. If in in doubt, check with local religious leaders or family members, too. Burial should take place within a one-hour drive from the place where death occurs. Flowers are appropriate. Most Buddhist funerals take place in a funeral home -- not in a temple. Sending flowers is normally considered appropriate. Flowers are usually welcomed and appreciated. For deliveries to the church, please confirm details with the parish, as practices may vary with regard to casket sprays, where flowers may be displayed, etc. Most floral tributes are encouraged and appropriate, excpet flowers arranged on a cross or crucifix. Funerals are not normally held inside the temple. During the period before burial (three days after death), flowers may be sent to the funeral home. There is often an emphasis on white flowers. Some placement restrictions may apply. Those unable to attend the funeral may send flowers to the funeral home or the family home. Floral expressions of all kinds are generally welcome at funerals and memorial services. Of course, individual churches may have their own limitations on placement. Hindus try to hold a service at a funeral home before the sun goes down on the day of the death. Flowers generally may be sent, although doing so isn't necessarily part of the Hindu tradition. Garlands and mixed seasonal sprays of flowers are typical. Opinion varies as to the appropriateness of sending flowers. Some say the Islamic emphasis on simplicity makes gifts of flowers unsuitable. Others say sending flowers is appropriate. Seek the opinion of a local religious leader or the family. 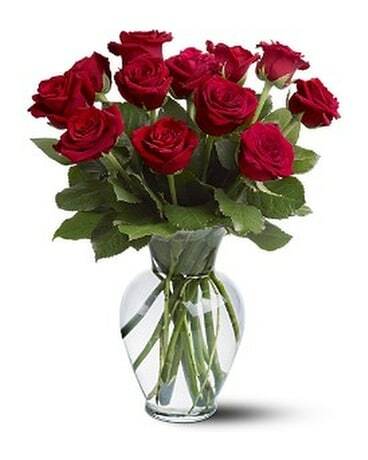 If flowers are appropriate, roses and other fragrant varieties are especially popular. Palm branches, other greens, or individual flowers are also often placed on the grave. Sending flowers to a funeral home or burial site is not normally done. Instead, fruit and food baskets are traditionally sent to the home during the mourning period. Increasingly, however, friends are choosing to send flowers to bereaved family members at home following the funeral. Similarly, it's becoming more common to see some floral decorations sent to adorn the synagogue foyer. These newer traditions, however, are generally not practiced among Orthodox Jews.